Swansea Astronomical Society in association with Barry AS and Port Talbot AS held a very successful astronomy exhibition at the National Waterfront Museum, Swansea. There were a minimum of 200 visitors. 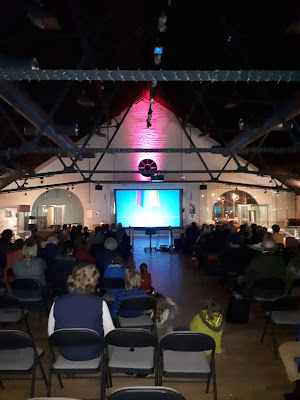 The weather did not allow outdoor observing, but the exhibition allowed visitors to see a wide range of instruments and to attend a talk given by Brian Spinks (SAS) on binoculars. 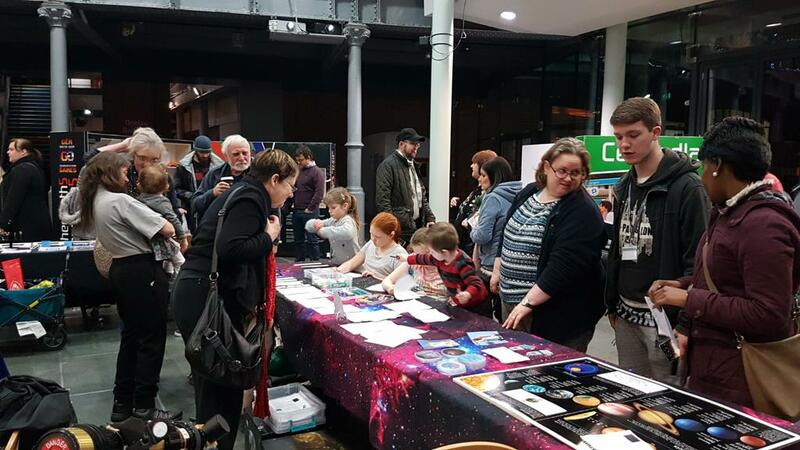 An astronomical Children's activity area was very popular and helped to involve the whole family in the event. 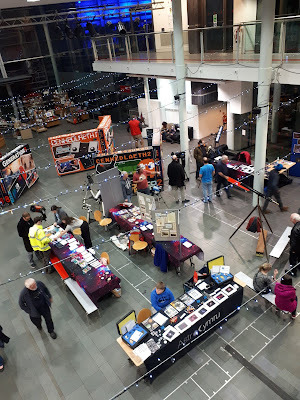 The astronomical societies of Swansea, Barry and Port Talbot do not regard each other as competitors. By cooperating in this way, they hope to make visitors aware that there are local astronomical societies that will be pleased to welcome them as visitors to their meetings and possibly as new members. Please note that people under the age of 16 must be accompanied by a responsible adult if they visit any of the societies. It is intended to hold a similar event at the National Waterfront Museum in the autumn when hopefully there will also be clear skies for a viewing session.